PORTLAND, Oregon -- An Oregon animal shelter went above and beyond to help a hamster, crocheting a tiny white sweater to help keep her warm. 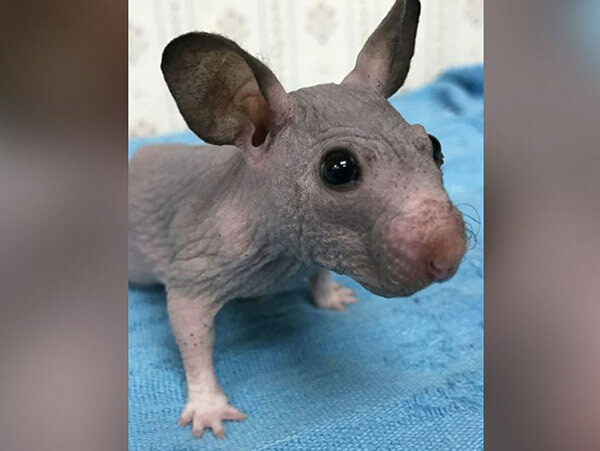 The Oregon Humane Society in Portland explains, Silky the hamster is hairless due to a genetic mutation. 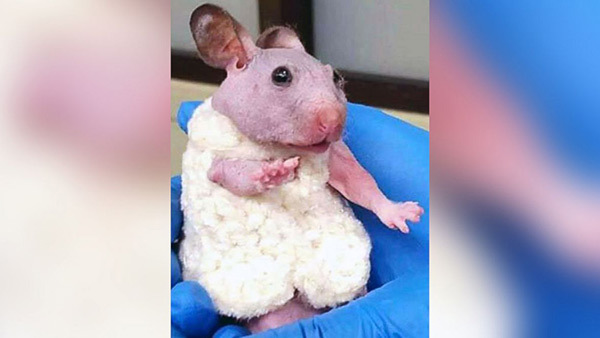 Silky the hairless hamster is pictured here without her sweater. In a news release, OHS staffer Diana Gabaldon says that because Silky "isn't fluffy like a normal hamster," she gets cold easily. Silky "does need to be kept in a heated environment, especially during the winter, and have a higher protein diet to keep her warm," Gabaldon said. 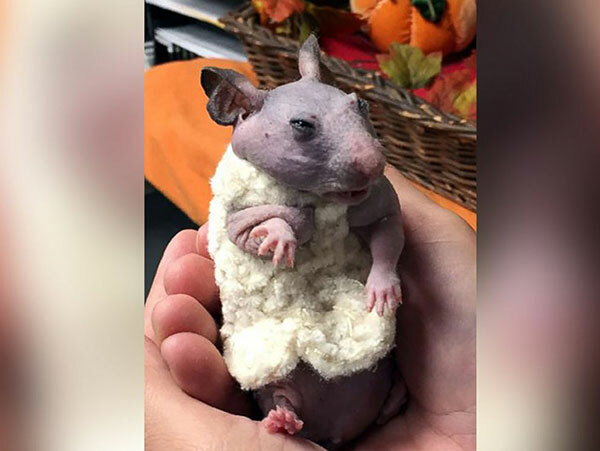 Selene Mejia, an animal care technician with the Oregon Humane Society in the city of Portland, crocheted a tiny sweater for Silky the hairless hamster. But recently, on a particularly cold day, despite a heated habitat and higher protein diet, Silky was found "huddled in the corner of her cage," the news release said. So, OHS Animal Care Technician Selene Mejia gave her a custom-sized sweater "to help her stay cozy" on especially cold days. Read the full story from ABC News. Click here to read other cute animal stories.